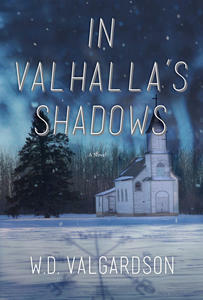 In Valhalla’s Shadows is a thrilling crime novel with an extraordinary cast of characters set on the shores of Lake Winnipeg. In it, W.D. Valgardson shapes a portrait of small-town living while masterfully weaving in threads of Icelandic mythology as well as discussions of contemporary issues such as systemic racism within the justice system and the lasting effects of PTSD on first responders. In this recommended reading list, he shares other titles that explores these themes and ideas. This journal written during the turbulent years of Winnipeg’s birth gives a raw chronology of the events that would determine the city’s future, presents characters determined to wrest fortunes from the land, and provides insights into the machinations that made some people fortunes. There is nothing polished about the narrative and that is what makes it valuable. It is available online. When we refer to reserves today, we usually apply the term to the lands occupied by Indigenous people. However, in its determination to keep America and Americans at bay, the government of Canada used a system of reserves to encourage settlement of Western Canada. One of those reserves was known as New Iceland. It was incorporated into Manitoba when the postage stamp province expanded. A number of books have been written about this experiment with Icelandic immigrants. However, Eyford has expanded the narrow view of the earlier writers to demonstrate how little control the settlers had over their lives and how political and economic decisions in faraway Ottawa determined their fate. Every individual who complains about “Indians” should be forced to read this book. It contains shocking information about the role of The Hudson Bay company and how it turned self-sustaining Indigenous communities into dependent workers, introduced the idea of credit, exploited them, and when the York boats were replaced, left them abandoned to die. Viable societies were made unviable in the commercialization of the fur trade. If there is a case for genocide, it is here. Eden has made a place for herself, not just in the expanding community of Indigenous writers, but in the broader society of Canadian writers. She sets this narrative on the Kitimat Reserve and she spares no one. Her tale of Jared, the 14-year-old protagonist, is brutal but mixed with humour. As strange as some of the events in the book are, there is a sense of how uncoordinated reality is not just for Jared but all of us. This is an historical novel set on the shores of Lake Manitoba. It is a family saga of Icelandic immigration to Canada. The narrator, Asta, the middle daughter in the Gudmundsson family, tells the story in the face of her coming death. Diversity may be our strength but many of the myriad ethnic and religious groups that came to settle Canada and bore tremendous hardships have had their stories forgotten. Emilson helps to bring this story of immigration and struggle back to life. A celebration of the ordinary, an answer to all the people who say “I have nothing to write about.” Henry Jett is in a dead-end job, has just lost his girlfriend because of his strange obsession with animal bones, has a brother who spends all his life running away, and a strange but wonderful friendship with a woman whose life has been as exotic as Henry’s is dull and commonplace. From this, Phillips builds a beautiful and compelling story. Canada—that is, you and I through our elected representatives—has long sent its military to distant places to fight in questionable wars. We’ve counted the cost in money, lives lost, arms lost, legs lost, but we have refused to accept that minds have been lost and, in some cases, never recovered. Only recently has there been acknowledgement that first responders whether they are military, police, or emergency personnel often pay a high psychological cost, sometimes resulting in suicide. Maybe if we did acknowledge it, we wouldn’t be so quick to volunteer our people for tasks where the unseen cost is so high. I’ve always admired Munro’s short stories. I approach them the way I would reading Chekhov. The language is as precise as if it were made of diamonds. The moments she captures, I recognize or remember after having carelessly forgotten them. However, times have changed and while the stories are still perfect and pleasurable I cannot help but think of Terese Marie Mailhot and Heart Berries and wonder what language can contain and explain that much pain. W.D. VALGARDSON is an Icelandic-Canadian writer. He taught creative writing at the University of Victoria for thirty years, during which time he mentored many writers including W.P. Kinsella, Eden Robinson, and Richard Van Camp.He has won several awards, including the Books in Canada First Novel Award for Gentle Sinners and the Ethel Wilson Fiction Prize for The Girl with the Botticelli Face. Born and raised in Gimli, MB, Valgardson now lives in Victoria, BC.